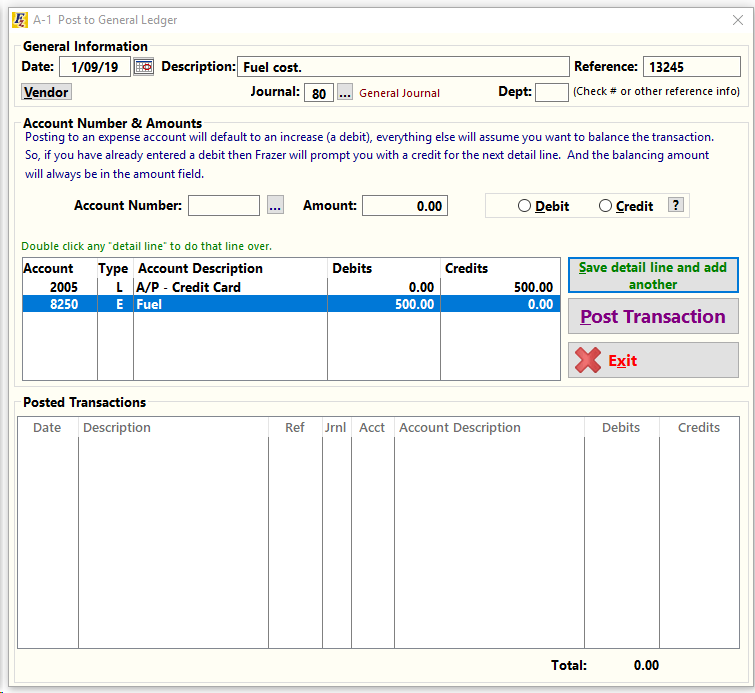 This screen allows you to make a manual general ledger posting. To add a manual post, start by entering the date of the transaction and a simple description that identifies the transaction. Then you need at least one debit and one credit. To add a debit or a credit, enter the account used to pay for the item (often an asset or a liability). Click "Save detail line and add another". Then you will need to enter what it is that you paid for (often an expense). Click "Save detail line and add another" again. If everything looks correct to you, click "Post Transaction". One note on General Ledger posts: All proper posts should balance out debits vs. credits wise. Example: if you paid a fuel expense with your credit card your post may look like the photo below. 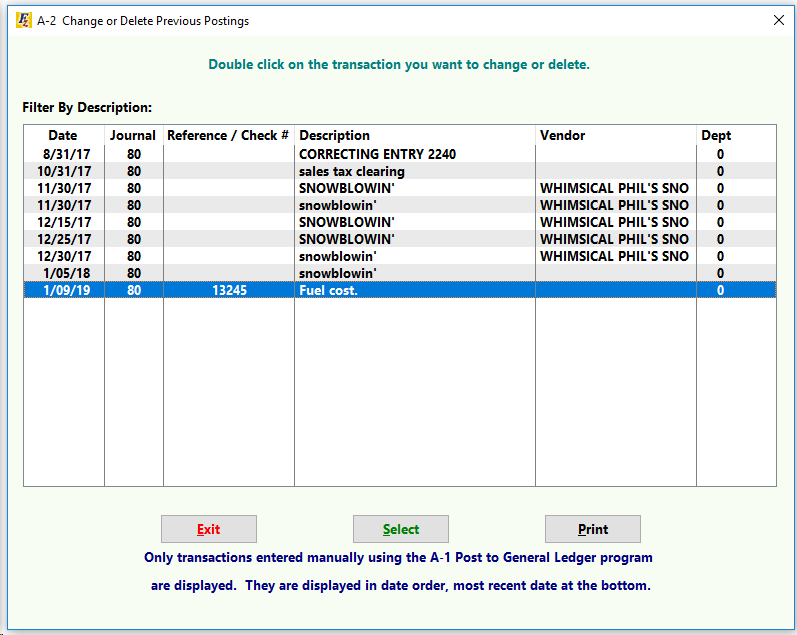 If you need to delete a manual posting, go to Accounting >> 2 - Change / Delete Manual Postings. 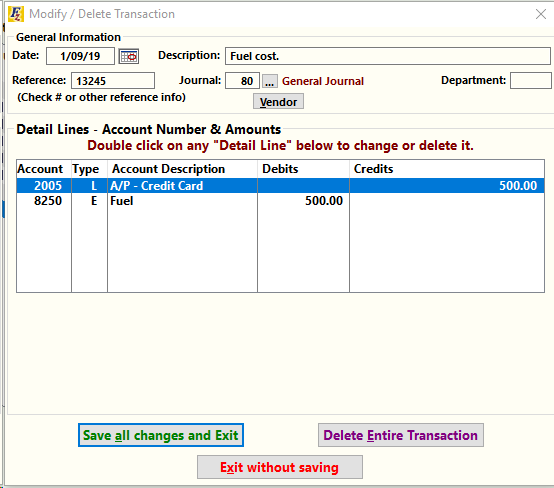 To change or delete a manual posting: Select the transaction you would like to edit. You may now make changes to the transaction, or delete it completely!